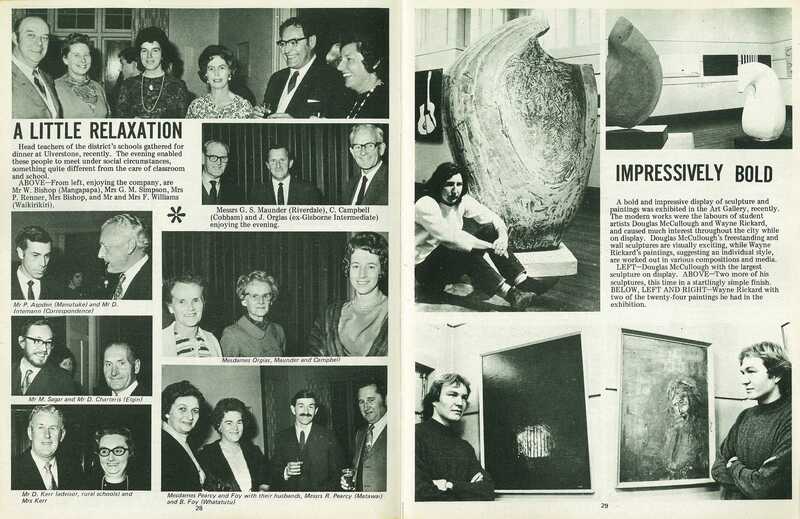 A bold and impressive display of sculpture and paintings was exhibited in the Art Gallery, recently. 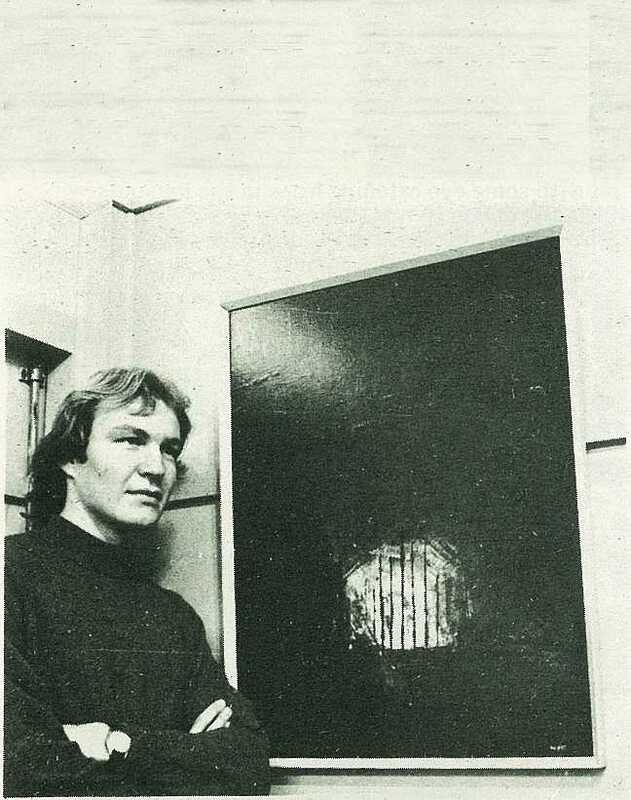 The modern works were the labours of student artists Douglas McCullough and Wayne Rickard, and caused much interest throughout the city while on display. 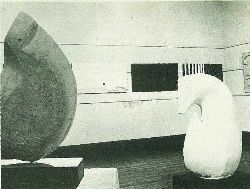 Douglas McCullough's freestanding and wall sculptures are visually exciting, while Wayne Rickard's paintings, suggesting an individual style, are worked out in various compositions and media. 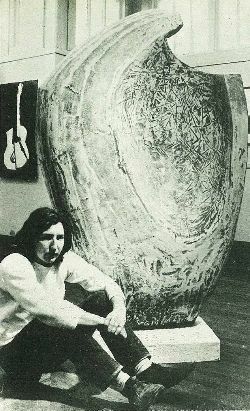 Douglas McCullough with the largest sculpture on display. Two more of his sculptures, this time in a startlingly simple finish. 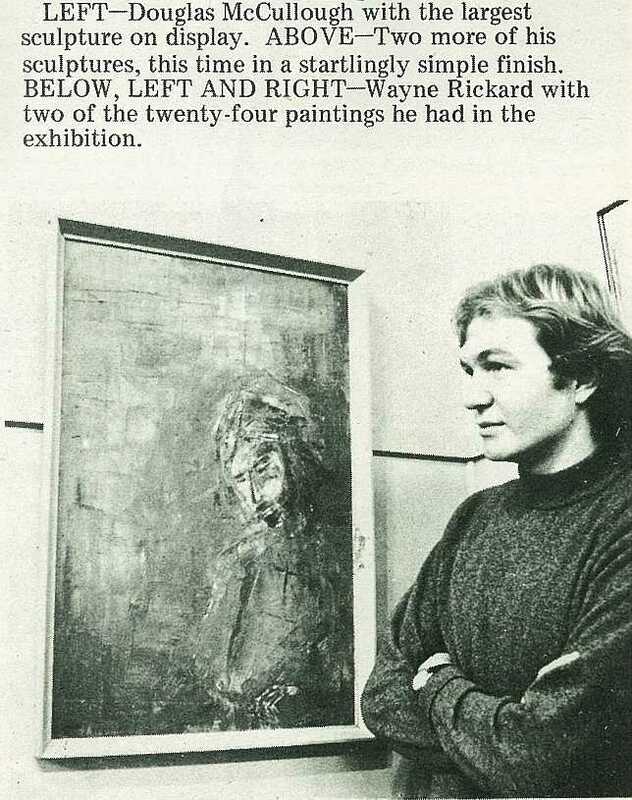 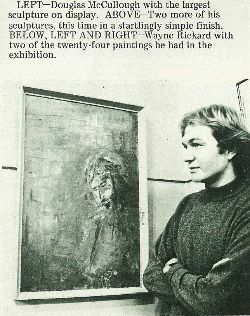 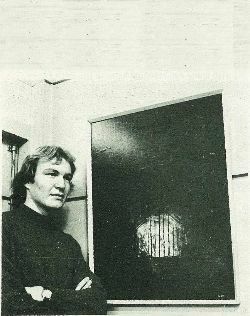 Wayne Rickard with two of the twenty-four paintings he had in the exhibition.